Remarkable Television, part of Endemol Shine Group, has announced that Channel 4 Daytime has commissioned a second series of The £100k Drop to be filmed at dock10. Davina McCall will be back as a host of new contestants will step up and attempt to win a jackpot of £100,000. Host Davina McCall says "I couldn't be more ecstatic that we are back for a second series! The first series was such a thrill ride, and we had the biggest win of the series with £75,000 so l can't wait to see if a lucky pair will get to take home the full £100,000 this time round! It's all for the taking in series 2!" At the top of every game, a pair of contestants start with £100,000. Just seven questions stand between them and the money. To take it home, they must hold their nerve by placing their money on the trap doors containing the correct answers. Give a wrong answer and they will see thousands of pounds of cash drop through the floor before their very eyes. The 100K Drop Series One averaged at a 5.2% share of individuals and the series attracted a 6.9% share of 16-34 audiences which was +72% up on the weekday 4pm slot average. Syeda Irtizaali, Channel 4 Commissioning Editor, Entertainment said: "We're thrilled that Davina is back for another series of the nail-bitingly tense £100K Drop. Last series saw big life changing wins and I'm hoping this is the series we see at least one pair walk away with the whole jackpot." Richard Hague, Head of Entertainment at Remarkable Television said: "It's a testament to the brilliance of Davina and such a compelling format that we are returning for another rollercoaster ride on Channel 4." The format made its international debut on Channel 4 in the UK in May 2010. Since then, it has become a runaway hit selling to an impressive 55 territories including the USA, Germany, Russia, Australia and Mongolia. 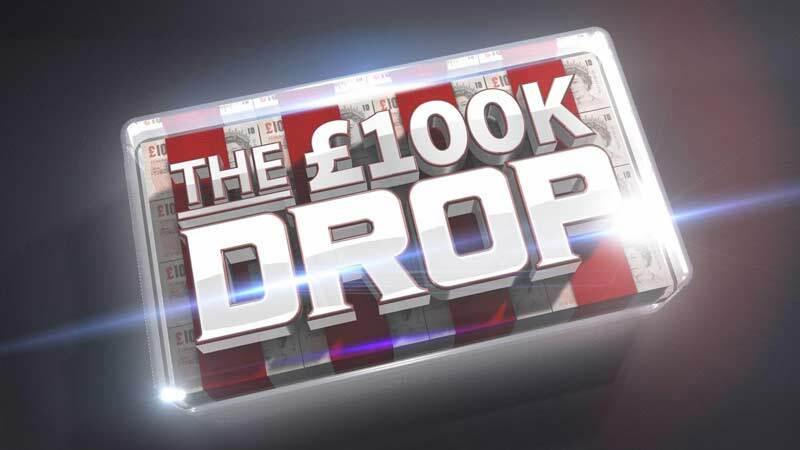 The £100K Drop will air on Channel 4 in 2019. It was commissioned by Syeda Irtizaali, Commissioning Editor, Entertainment for Channel 4 and will be executive produced by Richard Hague at Remarkable Television.